Spread Your Wings, Soar with Eagles, Generate High Flying Quality Traffic to Your Websites, Splash pages, Banners, and Text Link Advertising!" Start Your Advertising Now - Signup is Free! Increase your quality free website traffic today! Advertise your Websites, Banners, Text Links, Splash Pages, Lead Capture Pages, and Affiliate Sites, but most importantly advertise YOU for even better results! Build Your Subscriber List, Track their origination. Email, communicate with your referrals, build a relationship with your downline members. Take advantage of our lucrative affiliate program. Home of the Unique Surf Center Console everyone is raving about! 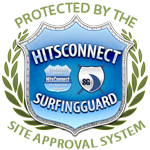 Take control of your surfing habits, no matter how many Traffic Exchanges you choose to surf! Power Surf Central charter member, where traffic is terrific, bonuses are abundant and rewards pile up. You deserve it and now we have the sytem to provide it! Excellent Customer Service Owned & Operated by Ray White an experienced Traffic Exchange user/advertiser that knows the requirements needed for a successful advertising system. Friendly, personal, responsive and listens carefully to members needs! one click at a time! "Swoop Down and Seize Your Success"
Join Now: "Soar with Eagles"
P.S. Not quite ready to join? Click on the FAQ link and get the scoop!